It’s the year 2029 and our planet faces impending destruction by the Apophis asteroid. Unable to stop it from impacting, groups of people are sent underground into cryo-pods, known as Arks, where they are frozen in suspended animation. Here they are to wait out the destruction above and to resurface at a later time to rebuild the planet. You are one of these people. Upon your awakening you find that your Ark has malfunctioned and you are the only survivor from your pod. Over 100 years have passed since your cryo-sleep began, and it’s now time for you to face the New World. The story is well written and original, with many unique characters and a deep storyline. The opening sequence itself tells the entire story of the impending doom and how the people of Earth dealt with it, and is worth the time to watch. The story is continued with dialogue from different characters and does not disappoint. 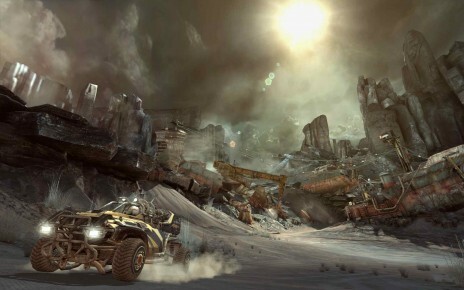 The world of Rage is separated into several different towns, and all are separated by the vast Wasteland. Each town has a unique set of characters that will want to send you on a task that will have you blasting through bad guys, or racing and shooting your way to the finish line. The tasks will vary, but each one ultimately will have you shooting your way towards a certain goal. The tasks vary in difficulty and length, but all are fun and non-repetitive. Throw in some boss battles, and you can easily kill 12 or so hours in the campaign. Difficulty can be set to one of four settings depending on your skill level. If you are in the mood for a real challenge try Nightmare difficulty. Fair warning, it does live up to its name. Always be sure to check corpses to see what they may have on them. Ammunition can be hard to come by early on in the campaign, so taking money and ammo from dead bodies is to your advantage. It’s not like they need it anymore. The Wasteland is controlled by six different clans that you’ll have to come up against. The Wasted Clan is a dim-witted bunch that enjoys mechanics, home-brewed alcohol and fighting. They would rather grab a club than a gun. The Ghost Clan is fearsome and fearless. What seems like a nod to the roots of Doom, they deal in the occult and stage gruesome sacrifices in order to gain power in the afterlife. 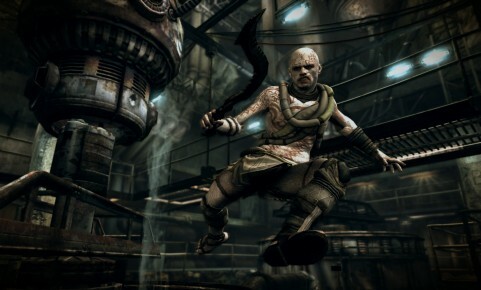 They use the environment to their advantage while fighting and can be seen climbing around walls and hanging from beams. Their wingsticks provide both melee and ranged opportunities for them to cut you to pieces. The Scorcher Clan believe the asteroid Apophis was the horse of a demigod. They believe that tapping the energy of the asteroid will make them invincible. The Scorchers like fire and cover everything they can in its images. The Shrouded Clan are deserters and are a combined group of all other clans. They use a mix of fighting styles, ranging from clubs, to guns, to exploding RC cars. The Jackal Clan are a vicious clan that covers themselves in fur and look and act more animal than human. The Gearheads are the most intelligent of the wasteland’s factions. These bandits have built advanced machinery and weaponry that make them a force to reckon with. The cities and the Wasteland are detailed nicely and well designed. 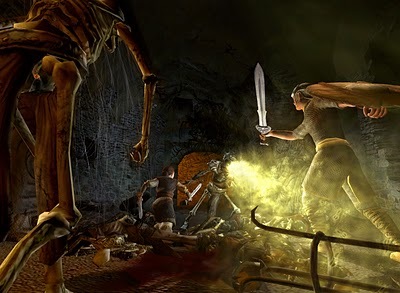 Tasks will have you fighting your way through dungeon style rooms reminiscent of Doom and Wolfenstein 3D. iD Software definitely knows how to make a first person shooter. Flanking can be used effectively, if you are aware of the side paths. These aren’t always easily spotted, so keep a keen eye out for them.The number of enemies isn’t overwhelming and they use frags sparingly for the most part. Your path will be mostly linear, but there are a few offshoots where loot can be found and collected. Loot can be just about anything from collectible playing cards to dress shoes in a box….. WTH?….. Dress shoes in a box?….Really?….Why do I need dress shoes in a frickin box??!!…. In each city there will be a shop of sorts where you can purchase upgrades and ammunition. All of the strange items you may find along your way can be sold at these shops. Be careful what you sell though, as some of these items can be used to make helpful items. While shoes can’t be used for anything other than cash, there are plenty of other things that can be used to make useful items. A bunch of rags can be used along with some antiseptic for a nice little health boost, and those are always handy. Blueprints are acquired by completing tasks and these tell you what is needed to build different items. Shops carry everything you may need. Rage’s weapon system and inventory system turned out to be more RPG than FPS. There aren’t too many weapons to choose from but each weapon can be enhanced or changed by changing it’s ammunition type. You main weapons are the pistol, shotgun, AK style assault rifle, M4 style assault rifle, sniper rifle, crossbow and a rocket launcher. To give an example of how a weapon can be changed, load up some explosive rounds for your shotgun and it’s now a grenade launcher. Throw some electric bolts in your crossbow and you have a perfect weapon to take out a group of bad guys standing in a pool of water. The ability to change ammo type takes your modest arsenal and turns it into a vast array of weapons with exponential choices. Rage also has a driving element. At first glance, you might think this was just an add-on thrown in without much thought, all just bells and whistles. You would be wrong. Your first vehicle in the game is a small, unarmed buggy that is great for getting from point A to point B. Nothing too fancy, but it has a decent boost so you can get there in a hurry. The vehicles drive with power and precision, and can turn on a dime if needed (gotta love the e-brake). As you progress through the story, you’ll unlock better vehicles as well as mini-guns and rocket launchers to arm them with. These make traveling through the Wasteland a much more enjoyable trip. Taking out bad guys in the Wasteland can also earn you cash, so make sure you talk to the proper person in a bar to activate your bounty hunting task that will then be ongoing. Eventually you’ll unlock even better weapons for your ride, so don’t think your weapons will always be the same. 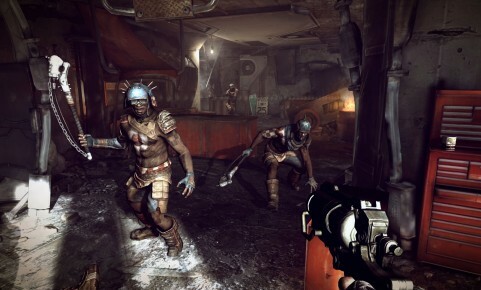 Multiplayer has also been included with Rage and offers a few choices. 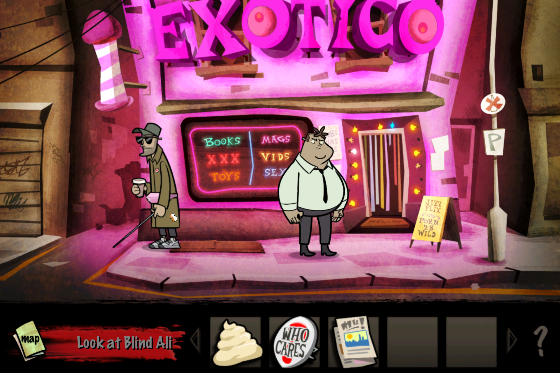 You can opt to play through one of nine side stories with a friend in Wasteland Legends. Either online or split screen, you can play through missions that you may have heard mentioned in campaign mode. You can choose either Normal difficulty or Nightmare difficulty. 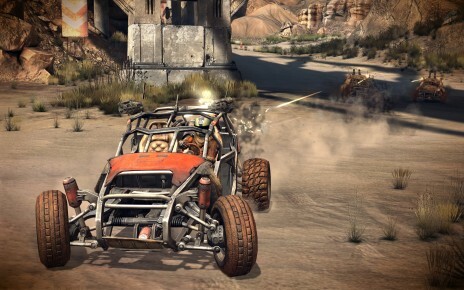 Road Rage offers a mix of different styles of vehicle game play. Meteor Rally has a mix of Zones and CTF styles of game play where you collect meteors and drop them off to capture Zones. Chain Rally will have you capturing Rally Points and chaining them together for an increased score. Triad Rally has you capturing three consecutive Rally Points to score. Carnage is exactly what you think it is. It’s a free-for-all death match where killing the other drivers earns you points. iD Software introduced us to a genre that has long been a staple across every gaming platform known to man. Wolfenstein 3D took us on a mission to eliminate Hitler in WW II, while Doom took us on a mission to eliminate Satan’s minions. 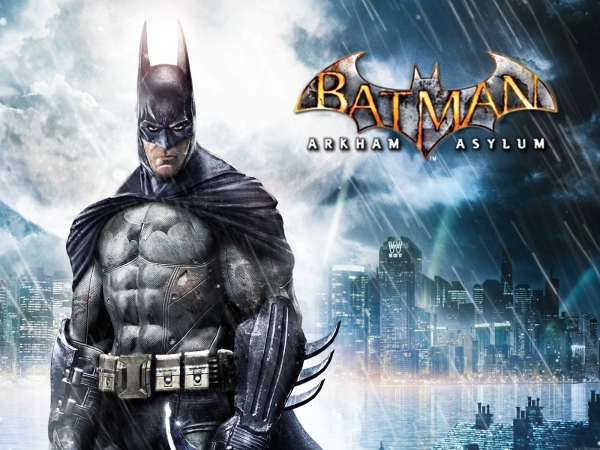 So many franchises owe their very existence to both of these games. For id Software to break away from known franchises and to embark on a brand new one took guts, ambition, and balls of steel. 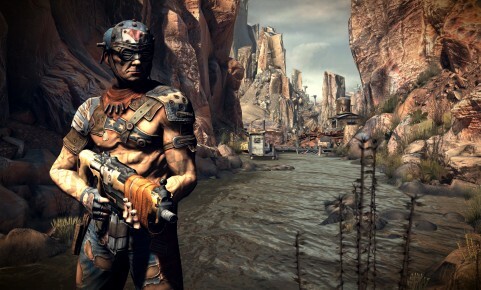 Not only did they succeed in creating an incredible game in RAGE, they also created a story that can easily be built upon and expanded on in this age of DLC. Where Wolfenstein 3D, Doom and Quake created the bar that all FPS games are measured, RAGE raises that bar a few notches above any other shooter this generation by using RPG elements, mixed in with vehicle combat, and downright awesomeness. Writer and Contributor on the subject of modern and classic video games for a number of online gaming publications including Terminal Gamer.